At many companies, production planning is quite an intuitive and manual process. Many of our customers tell us about how difficult it would be to make it an objective process due to the lack of adequate data and tools. Before digitalizing, it is very common to do this on Excel spreadsheets where someone inputs the different nestings and production orders, with an inefficient, manual process subject to error. The result is a plan based on the manager’s intuition; it is hardly based on real data and therefore, is not very reliable. 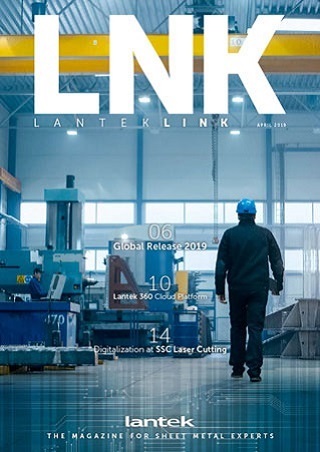 Lantek makes full production planning available to its customers through Lantek MES, with automated processes such as Lantek Ignite and advanced planning tools. From custom developments for advanced planning needs (with algorithms that detect the ideal line or production plant, based on performance, priorities, and underwork) to automation of production order creation. From visual planning tools to monitoring planning on Gantt. Perhaps one of the most neglected aspects of planning is data traceability. If data flows from each production area, and all the company’s systems are connected, planning is much easier and the process can be automated. This means automatically and easily knowing exactly which part from which order, with what material, on which machine, and on which line something will be manufactured, knowing the OEE of that machine and line, knowing the levels of inventory and orders being processed, the delivery date, and the priority by type of customer... In short, when systems are connected, information flows between the different areas of the company and when it is available at the time of planning, automation and efficiency are guaranteed. However, planning isn’t enough. Sometimes plans don’t work out well. Sometimes machinery shuts or breaks down or there are problems that cause plans to change, and that is why it is important to have a flexible system able to modify daily plans in the workshop. A simple, but powerful system available to production managers at the plant. We call it Lantek Workshop Execution Manager and it is simple, flexible, and powerful. Would you like to see it in action? However, sometimes this is insufficient. There are companies whose planning needs are much greater, either due to the complexity of their structure or their relationship with top customers. In these cases, Lantek offers a different service by carrying out custom connection and planning projects. For manufacturers with several plants and each of them with several production lines, it is very difficult to create an efficient manual plan for the simple reason that there is a great deal of fluctuating parameters in the system. In these cases, digitalization to gather and optimize the data on the workload, efficiency, and real capacity of each line is the first step. Lantek’s algorithms capture all of the data and optimize them based on the objectives defined by the customer in each case: cost reduction, time reduction, minimizing underwork, etc. For these cases Lantek develops custom projects, integrated into Lantek Order Consolidation and Lantek Advanced Planning: a system that collects all of the production data and, using an advanced algorithm, consolidates overall production needs and proposes manufacturing plans based on the objectives defined at any given time. For customers that use contract manufacturing (long-term manufacturing contracts with large customers), the ability to connect directly to their MRP to see stock levels and predict orders is critical. In this type of contract, delays are simply not an option and real-time short-term stock and consumption visibility are absolutely necessary to avoid sudden rush orders that may delay service for other customers and to avoid large amounts of finished product having to sit in the warehouse. In these cases, and through custom projects, Lantek Advanced Planning allows companies to connect the MRPs of different companies and integrate the data into the planning and production MES. In short, this is medium-term, short-term, and workshop planning. For one machine, one line, or several plants. Process automation and even connectivity with other MRPs. We know how critical the planning process is at your company and we make products, services, and developments available so that your company is the most efficient in your sector.